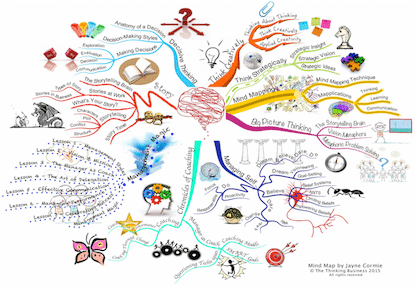 The mind map is a visual thinking tool that harnesses the power of the brain to enable you to think smarter, learn faster and communicate better. 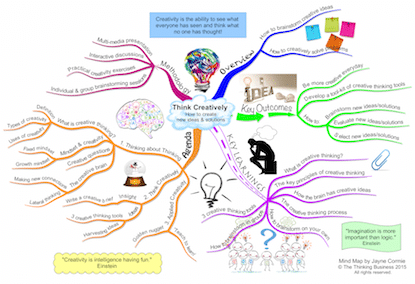 – What is a mind map? 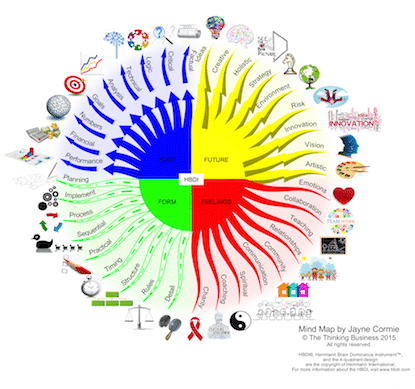 – What are the benefits of using mind maps? 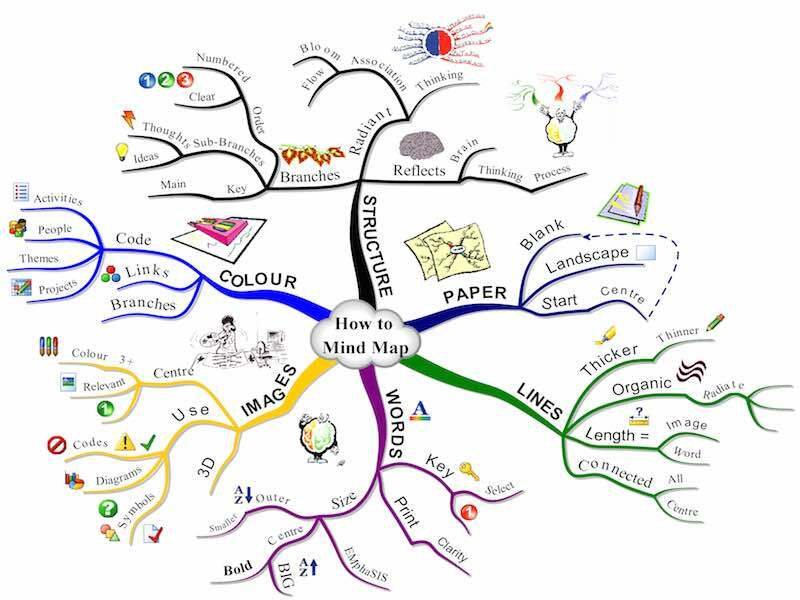 We are a global leading provider of the Mind Mapping training courses. Jayne Cormie was trained by and has co-trained with Tony Buzan. We run ½ day and 1 day Mind Mapping courses. We offer a production service of Creative Mind Maps which means that we will design, create and print your own unique Mind Maps to your specification using our in-house artistic mind mapping skills. Examples include corporate training course maps, subject maps for schools, educational revision maps, book summary maps etc.